Heatmiser Pacific Ltd is a New Zealand company with extensive experience designing and installing heating systems. In today’s energy conscious environment, the key to building effective and efficient heating solutions lies in the control equipment. We feel we offer a superior range of control products backed up with after sales service and technical support by people with extensive knowledge in the diverse and demanding climatic conditions of the Pacific. Our products are so innovative and advanced, it’s like having tomorrow’s heating controls, today! We recognise that climate control is a specialised area and not something the average home owner knows a great deal about. Our support team are on-hand to guide end users and our installer partners through the options available. When something doesn’t work as it should, our support team can help to troubleshoot ensuring the system is back up and running just a quickly as possible. All of our products are uniquely Heatmiser. It’s easy to source low cost thermostats on the internet, but it’s not easy to develop a series of products that are not only easy to install and use but are safe and reliable too. All of our products undergo extensive testing throughout the design phase and we continue our strict standards in our manufacturing facility. We focus a great deal of our effort on our next generation of products, ensuring that what we produce tomorrow hits the mark just right with our customers. We welcome our customers to share their ideas via our Ideas Portal. We all agree that our planet’s resources are limited and that the emissions we are creating are having an enormous effect on our health and is putting our planet at risk for future generations. We all therefore have a responsibility to reduce our energy consumption wherever possible. Heating our homes accounts for more than 80% of our household energy use and so not only does reducing our energy usage make sense for our planet, it’s make financial sense too. 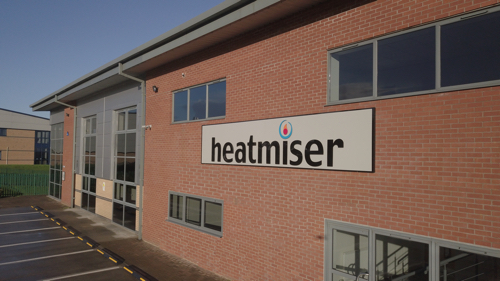 Here at Heatmiser, we are using the very latest technology to provide our customers with the smartest heating control solutions, solutions that enable homeowners to accurately control the heating in each room and from anywhere in the world. We supply products across the world and have established partners in many countries. We are always keen to speak with companies interested in promoting Heatmiser in their country so if you are interested in becoming a partner, get in touch today so that we can discuss the opportunities with you.